NOTE: Due to the recent cost increases on materials please call for accurate pricing. 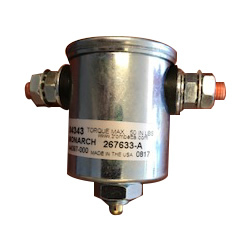 This M-310-0255 Solenoid features a rugged design that allows the pump switch to carry high current and high in-rush for your momentary on/off applications. Suitable for material handling, ground support, aerial work platforms, construction equipment, paving equipment, agriculture equipment, and turf care equipment. 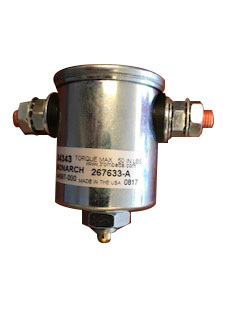 Truck Lift Gate Pump Start Switch Solenoid. The Trailer Source is your premier online source for quality trailer parts and accessories. Ready to Buy or Have a Question?